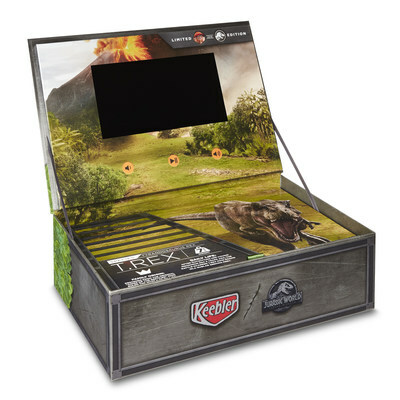 Kellogg's Releases Limited-Edition Collector's Box Featuring Exclusive, Behind-The-Scenes Content Of "Jurassic World: Fallen Kingdom"
BATTLE CREEK, Mich., June 18, 2018 /PRNewswire/ -- Today, Kellogg's released limited-edition Kellogg's Frosted Flakes® and Keebler® Fudge Stripes collector's boxes that include exclusive, behind-the-scenes content of the making of Jurassic World: Fallen Kingdom, in theaters on Friday. 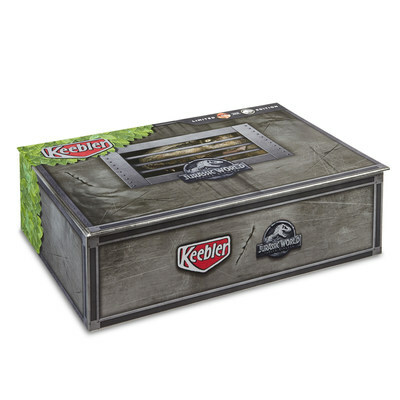 These limited-edition boxes include not only the fun and delicious Kellogg's and Keebler products fans love, but also more than five minutes of behind-the-scenes footage from Jurassic World: Fallen Kingdom, just days before the film's theatrical release on June 22. The content takes viewers on set with the stars and creators of the movie to see how this astonishing motion picture was brought to life. Starting today, Jurassic World fans can head to Amazon, where the boxes are available exclusively for $24.99 each, while supplies last. This exciting offer is just one part of the many promotions from Kellogg's partnership with Universal Pictures ahead of Jurassic World: Fallen Kingdom hitting theaters. 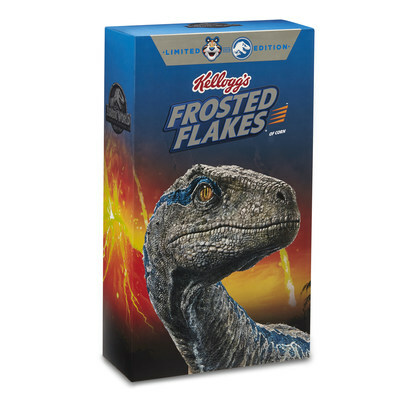 In addition to the Amazon-exclusive boxes, select Kellogg's products have received a prehistoric "makeover," featuring limited-time promotional packaging. Through the purchase of these specially packaged products, consumers will receive free movie tickets, and Jurassic World: Fallen Kingdom-themed popsicle molds, available in select cereal packages. It also provides specially themed licensed products while supplies last – all offering fans exciting and delicious ways to celebrate the movie's release. Don't worry, fans who can't get their hands on this exclusive content can still join in on the fun. Select Kellogg's and Keebler packages, available at retailers nationwide, will feature a unique Shazam code that unlocks interactive games and unique content. 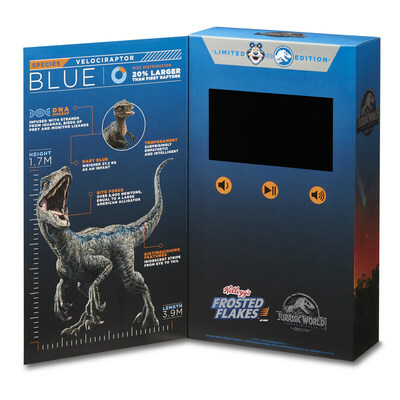 To take a piece of the Kellogg's and Jurassic World: Fallen Kingdom home, fans can purchase one of the Keebler Fudge Stripes and Kellogg's Frosted Flakes collector's boxes on Amazon or head to retailers nationwide to take advantage of other Jurassic World: Fallen Kingdom promotions from Kellogg's that are fueling fan excitement. At Kellogg Company (NYSE: K), we strive to enrich and delight the world through foods and brands that matter. Our beloved brands include Pringles®, Cheez-It®, Keebler®, Special K®, Kellogg's Frosted Flakes®, Pop-Tarts®, Kellogg's Corn Flakes®, Rice Krispies®, Eggo®, Mini-Wheats®, Kashi®, RXBAR® and more. Net sales in 2017 were approximately $13 billion, comprised principally of snacks and convenience foods like cereal and frozen foods. Kellogg brands are beloved in markets around the world. We are also a company with Heart & Soul, committed to creating three billion Better Days by 2025 through our Breakfasts for Better Days global purpose platform. Visit www.KelloggCompany.com or www.OpenforBreakfast.com. ®, ™, © 2019 KELLOGG CO.